By the time the globetrotting fashion pack arrive in Paris for fashion week, they sometimes want to sit down at a show and be schooled in expert craftsmanship and talent. 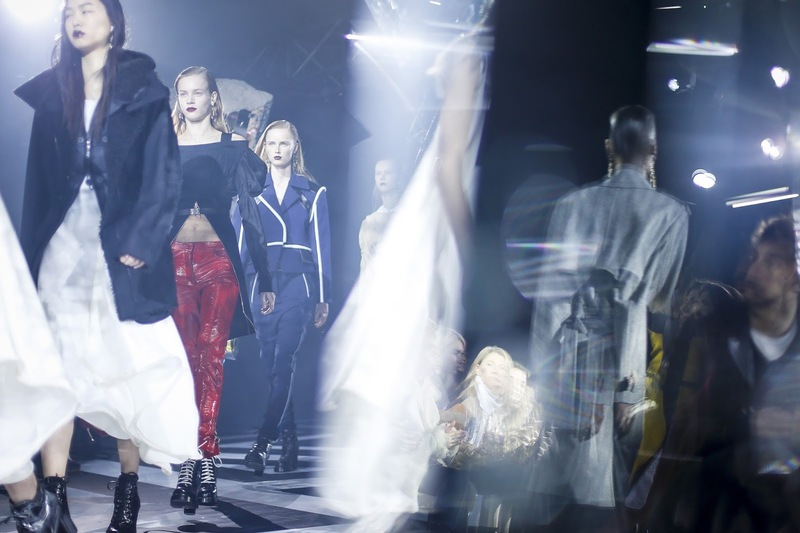 Labels like Comme des Garçons tap into an untouchable, theatrical vein that will leave an imprint in the mind. 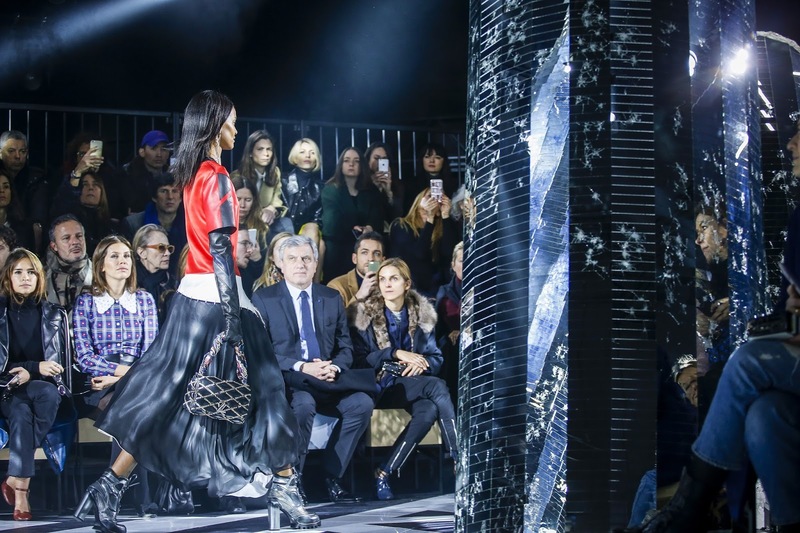 Designers like Karl Lagerfeld, Ricardo Tisci, Phoebe Philo, Jonathan Anderson and Miuccia Prada tell women what they’ll be wearing in September. 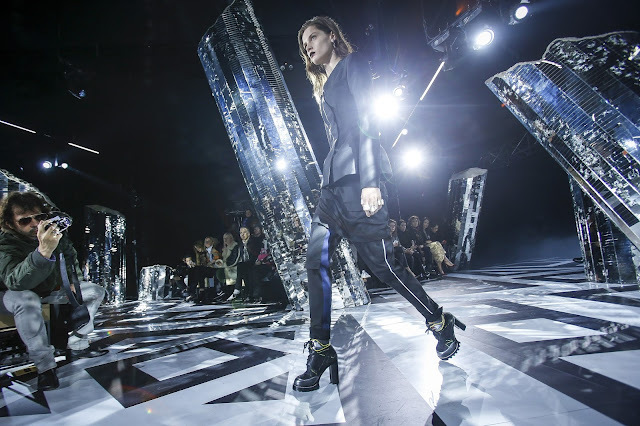 Noticeably, the industry-ranked best shows hail from the Parisian stop. I’m not particularly surprised. Paris has always been branded the best of the four. It does have some of the best shows. In recent years, I’ve even looked forward to the last day of fashion week. 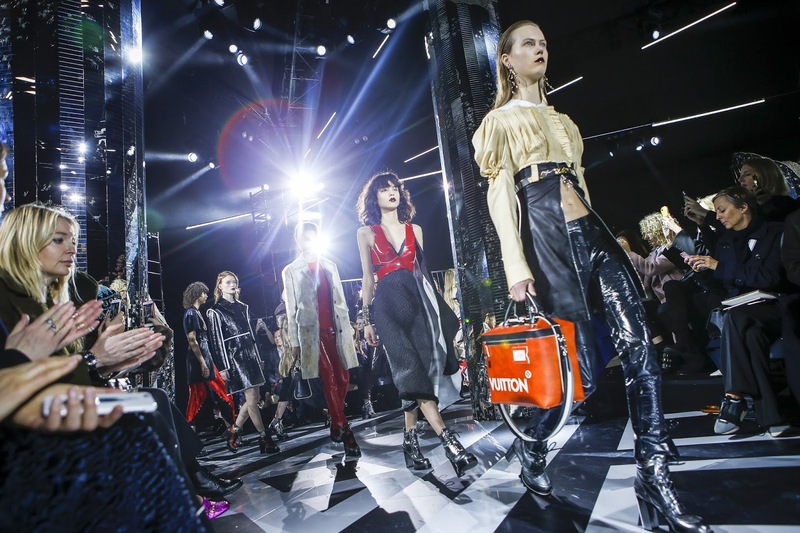 Not because the crowds disband to their own corners of the world, but because the last day signifies Nicolas Ghesquière’s Louis Vuitton collection. 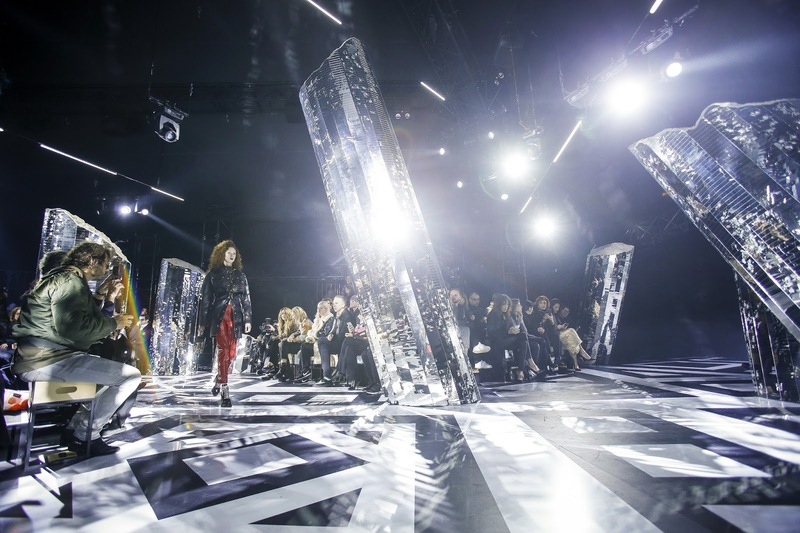 This season, Ghesquière had artist Justin Morin create the show’s colonnade. Shattered mirrors set against concrete columns, dotted around the Fondation Louis Vuitton. There were fifty seven columns. It was an antithesis to the Dior set at the couture show in January, which comprised of a walled mirrors. A reflection of the fashion industry itself. By the beginning of March, the mirror had broken. A timely response to the upheaval of the industry, and proposition of new models. 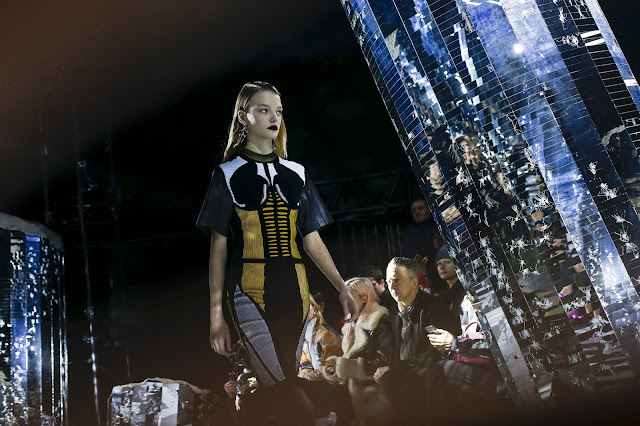 Luckily, with Ghesquière’s Vuitton you forget about all that hullabaloo and focus on the clothes. 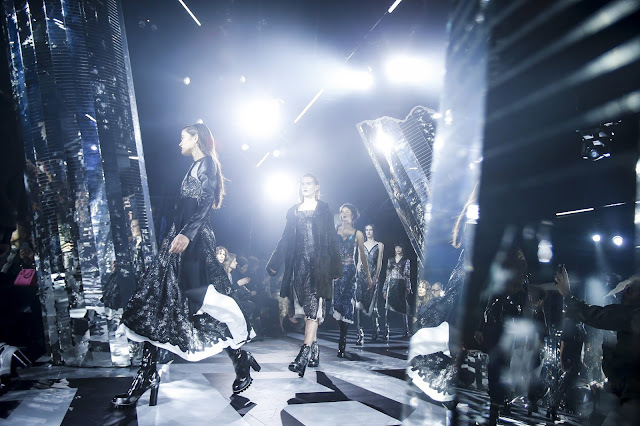 Rummaging through his "stylistic heritage”, there were motifs from the handbags, strong-shoulders on garments, motocross whiffs, gothic sensibilities, perverse utilitarianism. You could spot Fall 2014, Resort 2016, some of last season. Similarly, Simone Rocha and Caitlin Price hammered home aesthetics with subtle reference to last season. What’s good about that is it extends a wardrobe without being too schizophrenic in its design, which certain customers value. The building of a wardrobe has always been on Ghesquière’s mind. 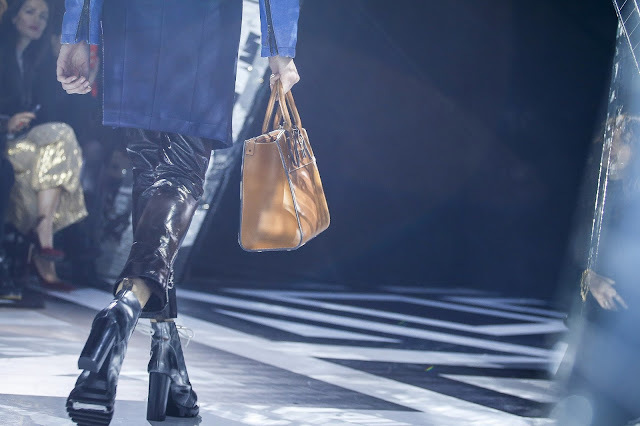 The Vuitton woman has a plethora of options this season. Three quarter length red leather trousers, fitted blazers, silk dresses, sporty sweaters, coats in fine leathers and herringbones. Just watch, everyone will be copying them next season. Increasingly, emerging brands are opting out of show notes, allowing the viewer to draw their own conclusions about the collection. 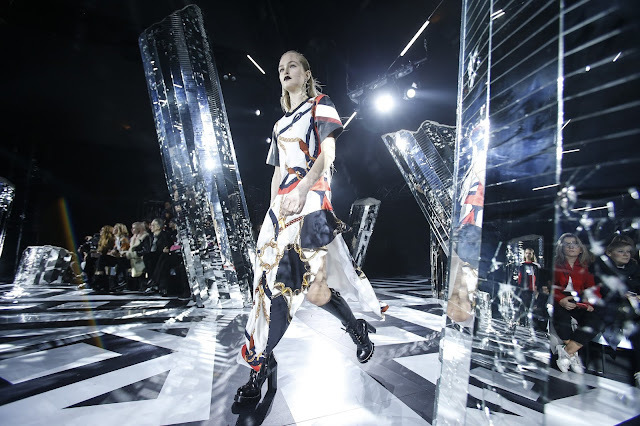 This Vuitton show had only a few small paragraphs worth of further insight. They were unnecessary though. These clothes were self-explanatory. Ghesquière presented his ideas brilliantly. They were easy to understand. 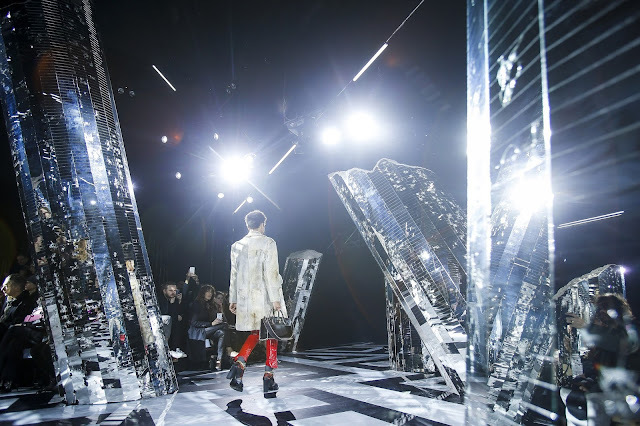 And at the end of fashion month, they had you recharged, ready to buy, and ready for more.